Chill Out ... flexibility and functionality! 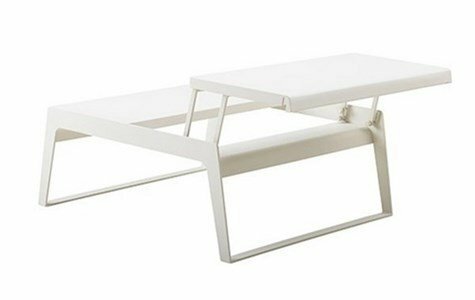 The duo of Danish designers joined Cane-Line to create this delicious coffee table ... so versatile! Modern and contemporary, so flexible and functional, it will quickly become the must-have of the moment! Apparently a small coffee table like so many others ... watching the details, you will be surprised. Put it to the test ... See for yourself!!! In white painted aluminum, is easy to clean, and will embellish your garden all year!